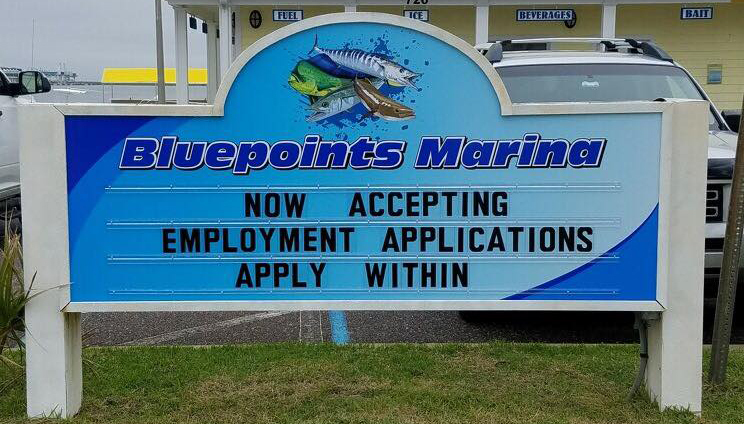 Bluepoints Marina is currently accepting employment applications for several open positions. Prior experience is not required. Applications are available within our Ships Store located at 726 Scallop Drive, Port Canaveral. PLEASE…NO PHONE CALLS REGARDING EMPLOYMENT OPPORTUNITIES.